Motorists need to be aware that not only are crosswalks being repainted ahead of the new academic term next week, but some new crossings may be introduced. This call for greater vigilance comes prior to roadworks by staff of the Ministry of Transport, Works and Maintenace from September 3 to September 7, 2018. 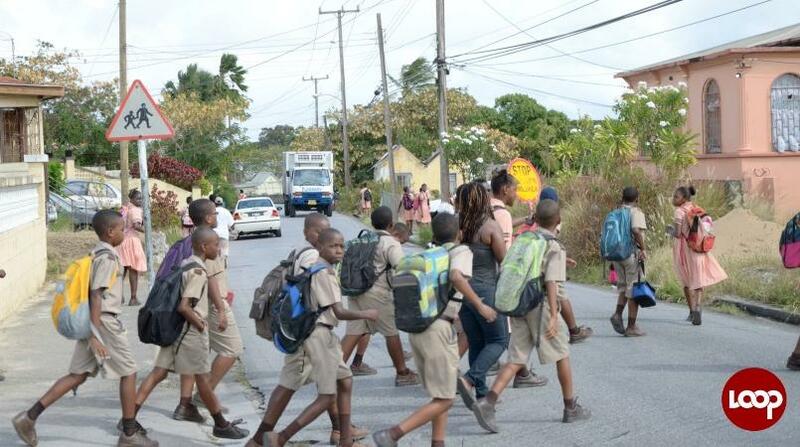 The crossings are to be implemented in St. Philip, St. John and Christ Church. Below is the work to be conducted at the ministry depots across the island. Six Roads Depot - Maintenance will be carried out throughout the district, such as repairs to a slipper and curve. There will also be work done in Diamond Valley and Pounders in St.Philip, to construct a culvert. Crossings at schools and also pedestrian crossings are being implemented in the area. Bath Depot - Routine maintenance will be conducted throughout the Bath district. Crossings at schools and also pedestrian crossings are being implemented in the area. South point Depot - A footpath is being placed at Kendal Hill, while a retaining wall is being built on the main road at Coverley area. Routine maintenance is being carried out in the Christ Church area. 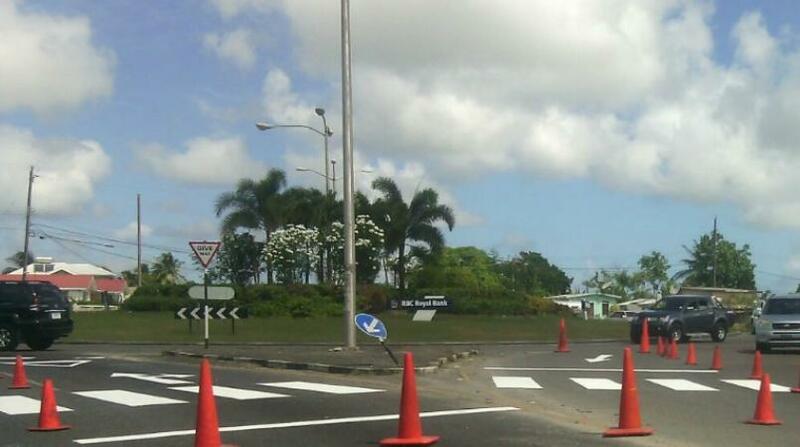 Bases are being put into place for missing lights on the highway from Graeme Hall to the Newton roundabout. Crossings at schools and also pedestrian crossings are being implemented in the area. Golden Ridge, St. George Depot – Work continues at Melverton, St. George, with the construction of a slip and curve along with rehabilitation work. Meanwhile, the preparation of bridges and construction of culverts and two headwalls are also ongoing at Gun Hill in St. George. 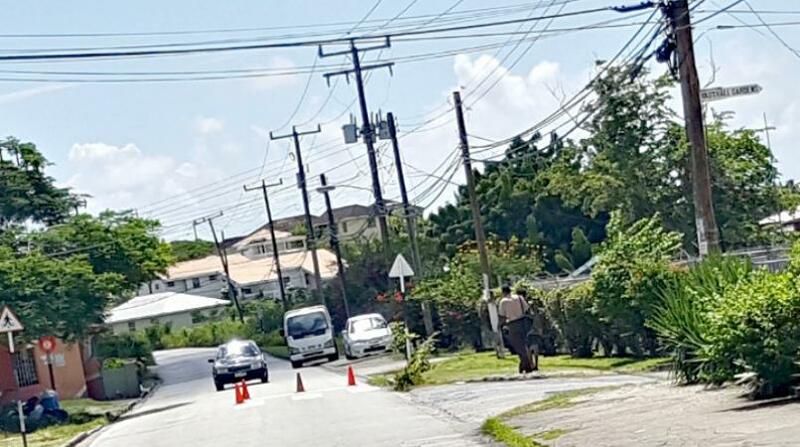 Debushing is being done at Grooves, while weeding and debushing continue along Golden Ridge road, while there is weeding at Newbury and across Walkers Road area. Routine maintenance is ongoing throughout the parish of St. George. Prince Road, St. Michael Depot – Work continues on the repairs to the headwall at Watts Village, St. George. In Sunrise Drive, St. Michael, there is the construction of a slipper and curve. Repairs to the manhole in Collymore Rock have been completed. Pothole patching, weeding and debushing are ongoing throughout the district. Repairs to the footpath in Tweedside Road have been completed. Deacons Depot – There has been reconstruction of a footpath – approximately 50 – 60 ft long that was cracking badly in Lightfoot Lane in the city, meanwhile new manholes are also being installed in Lightfoot Lane. This will facilitate drainage in the area. At Pillersdorf, Grazettes there is the continuation of the slipper and curve road work. At Oyster Road, Grazettes, repairs to concrete work on that road are being conducted, i.e., minor slipper and curve and covering a piece of the footpath in that area as well. On President Kennedy Drive, near Westbury Cemetery, a footpath is being constructed and an entrance to a residence is being built. New concrete manhole slabs are being constructed to replace the old ones in the area, wherever necessary. Richmond Depot - The reconstruction and covering of a well, in front of a residence at Richmond Gap, has been completed. New concrete manhole slabs are being constructed to replace the old ones in the area, wherever necessary. Joe’s River, St. Joseph Depot – Preparations are being made for the realignment at Dark Hole, St. Joseph. Belleplaine, St. Andrew Depot – Gabian stabilisation work is going on at Baxters, St. Andrew, while Rehabilitation work is ongoing at Franklyn Doughlin Road, St. Andrew. Road repairs in the White Hill Project are upcoming. Weeding is consistent in Belleplaine. Chance Hall Depot, St. Lucy - Work continues on the footpath at Shermans /Half Moon Fort. At Round Rock, there is a concrete haunch wall being constructed and a retaining wall is being built at the depot. Weeding and debushing are being done at Spring Garden in St. Lucy. Jerusalem, St. Peter Depot – There is the continuation on the construction of a retaining wall at Shermans, St. Lucy and Sand Street, St. Peter, to prevent sea turtles from wandering onto the road. Bagatelle Depot – The construction of a box drain is ongoing at Porey Springs, St. Thomas. Tree trimming and debushing are continuing at District B in Bagatelle, St. Thomas. Prospect Depot – The repair of a manhole is continuing along Road View, St. Peter, to Holetown and Paynes Bay, St. James. Repairs to manholes in box drainage are being done at Trents, Paynes Bay, Holetown and Road View. Work on the construction of Kings Village tenantry road will get started, while masonry work at Dracaenia Avenue to construct a slipper and curve to prevent flooding, will continue. Concreting a footpath in Holder’s Hill to get rid of the overgrown bush and river tamarind is also being carried out. In Holder’s Hill, there is extensive debushing and tree trimming. There will be extensive debushing along Alleynedale, St. Lucy and Charles Duncan Oneal, St. Peter. Debushing will be also be carried out at Trents and Seaview in St. James.